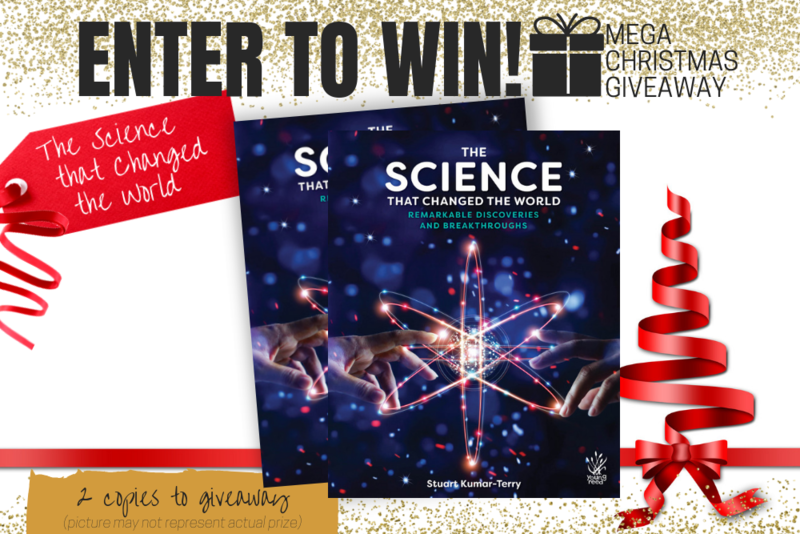 In THE SCIENCE THAT CHANGED THE WORLD, this visually exciting book describes the biggest breakthroughs in the chemistry, physics, biology and more—by the men and women who asked big questions and found exciting answers. The book provides a broad summary of science history, with a tone of language that is evocative, inspirational and inspiring. Young readers will be swept away by the incredible achievements and unlimited possibilities of scientific discovery. 1. **The Science that Changed the World (book). Total Prize Value $19.99** AUD (the "Prize"). 2. It is the responsibility of the winner to collect the Prize within 7 days of the end of the Competition Period from the Promoter’s Mornington office. 3. The Prize, or any part thereof, must be accepted as awarded and is non-negotiable, non-transferable to another person and non-convertible and is not transferable for cash. 4. The prize must be collected from the Promotors Mornington Office, unless otherwise advised.